Made to Dance in Burning Buildings played to a sold out house at Joe's Pub at The Public Theater in April 2018. Join us at Shaking the Tree for the World Premiere and see the show New York Theatre Critic, Anthony J. Piccione, called a "standout." A fusion of poetry, theatre, and violent and visceral contemporary dance, which poses the question: how do we heal from trauma? Based on a true story, and inspired by the original choreopoem, Ntozake Shange's For Colored Girls, this play seeks to revolutionize the theatrical experience by combining poetry and breathtaking and gut wrenching contemporary dance to tell an all too familiar story in a brand new way. "It is told in a fresh, highly experimental way that makes it feel unique and modern compared to other shows that deal with similar subject matter." 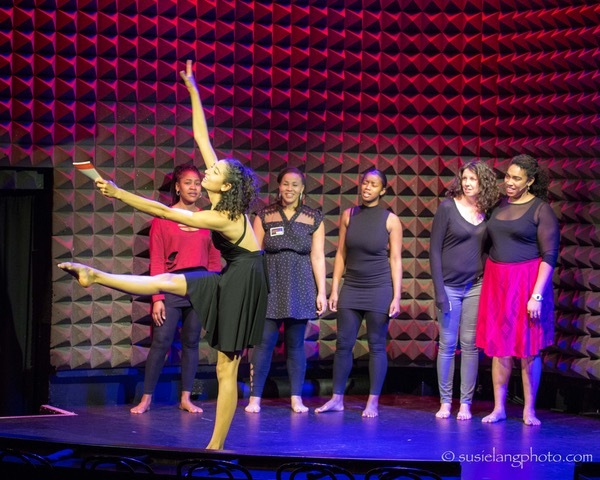 Kayla Banks, Jennean Farmer, Anya Pearson, Monique Sanchez, Reese Antoinette, and Aleca Piper in the showcase production at Joe's Pub at The Public Theater. Photo: Susie Lang. Find out about Urban Haiku's mission and other projects. 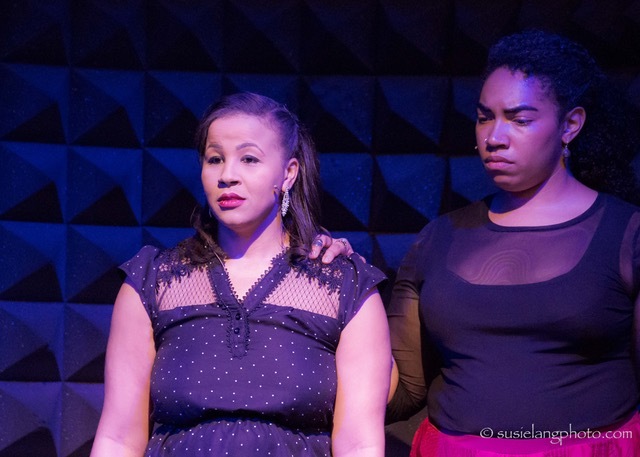 Anya Pearson and Aleca Piper in the showcase production at Joe's Pub at The Public Theater. Photo: Susie Lang. Interested in helping out? Pre-order your tickets for the show at Shaking the Tree, share about Made to Dance on social media, or contact us for more information about how you can get involved or make a donation.